Human speech has its own rhythm, which is not like a musical rhythm; it has free areas, spaces inside it. We all understand each other, even though everyone has a unique style of speech. Music, on the other hand, has templates, such as following a certain “bpm” (beats per minute) throughout a piece, or using musical scales; ideas have to be molded to fit these templates. However, the innate sounds of humans are not so strictly ordered; they are instead chaotic pieces of ideas that come together with no rules, and form a so-called whole idea. Speech is produced from our innate sounds, chaotic, without rules, but still with a specific rhythm. Imagine a choir reading a poem together without having practiced. Each person will read differently because of his/her unique innate rhythm. The result will be a rumble, sounds coming together without order; no musical scales are followed, no rhythmic continuity exists. 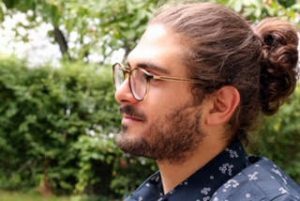 If we pick one person out from the crowd, and ask him to read the poem again, but this time alone, we will see that he is reading in a free rhythm, using specific areas of his tonal spectrum where he is comfortable. If we try to convert our ideas to sounds according to strict musical rules, we find that some ideas cannot, in fact, be reflected in this way. 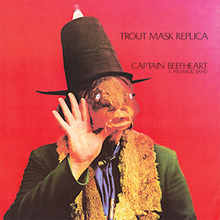 However, if we do not follow any rules but simply use musical instruments as intermediaries between the listener and ourselves, the resultant piece of music might turn out to be something like the album “Trout Mask Replica” by Captain Beefheart and his Magic Band. Don Van Vilet, usually known as Captain Beefheart, was the creative mind behind this album. Although he did not have any musical background and was not trained to play any instrument, even the piano, all the pieces were written by him. This is where the problem starts, because he wrote these songs as he felt them, without filtering his emotions and ideas. However, the piano has a wider range of octaves than the other instruments played by the band. Therefore, performing musical notes written by an untrained songwriter was a real problem for the Magic Band. Listening the album, you might think that the musicians had forgotten the song or were improvising. In actuality, all of the pieces were rehearsed and recorded over the course of a year. Some scholars call this a masterpiece, because there are no random notes or fillers in the music. The structure of the pieces is not what we are used to listening to. A “regular” song has an introduction, a climax and a conclusion. The way you fill in this template is what can make a regular song great. However, Captain Beefheart approached music differently. Since his main goal was to capture the ideas and emotions in his brain, he did not follow any template. If you listen to each instrument separately, you realize that each one is following the player’s own free rhythm. For a musical piece to be listenable in a conventional way, every instrument has to play in the same or related musical scales and keys. However, in “Trout Mask Replica,” the songs have no set keys. Therefore, the whole album is like a human conversation, or self-conversation. Both are chaotic and do not follow any templates. Captain Beefheart was actually a blues singer. If you listen to his earlier albums, especially “Milk Is Safe,” you can hear the difference between them and “Trout Mask Replica” immediately. After recording two great but unsuccessful blues albums, he asked Frank Zappa, who was a close friend, to use his studio. At that time, Zappa was a well-known innovator in the music industry. What Beefhart wanted to do was write songs that did not conform to any existing musical genre. The deal was that he would go into the studio and no one would interfere with what he was doing. Still, we can clearly hear Frank Zappa on the album. A very well-known phrase, “fast and bulbous,” is said by Zappa a couple of times. In addition, although writing and creating such an album was hard (given the complex arrangements of the pieces), recording the album was also a difficult task. One of the elements that makes this album a masterpiece is the recording technique. I will not go into technical details like the angle of the microphone or the type of equipment used, because that would require a long discussion. Since the whole album consisted of Captain Beefheart’s ideas, there was only one person who could record that multiplicity of ideas – someone who knew him very well both musically and personally, and that was Frank Zappa. Throughout the album, you hear different sounds created by Zappa, which build a strong emotional environment around the chaotic and surreal melodies. It is well known that patterns of musical notes create impulses in our brains. This is why there are scales, because these established patterns can be used to guide us in expressing our feelings. For example, the minor scale is sad, while the major scale is happy. These are the simplest musical scales, and widely used. Sadly, we get accustomed to them, and if we hear anything different, our brains will ignore its musicality and be unable to focus on the various elements in the piece. Therefore, understanding “Trout Mask Replica” is nearly impossible at first. However, if we abandon our ordinary musical understanding and try to analyze each element in the music while considering the overall context, we can, over time, catch some phrases, some passages that are strongly melodic. But the process of getting used to “Trout Mask Replica” is a long journey, for sure.